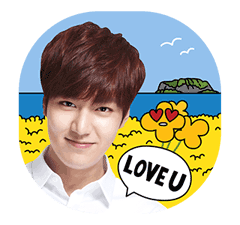 http://www.line-stickers.com/ – Travel to Jeju with Min-Ho Line Sticker | Friend natural cosmetic brand Innisfree’s official account and get these stickers for free. Available till November 16, 2014. LINE LIVE Collaboration LINE Brown Farm Taiwan Special: Journey to the West Work.com.mm: Find Your Dream Job!